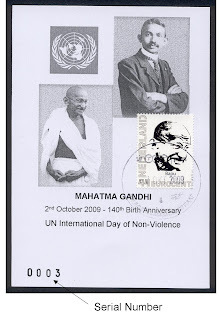 We have received a tremendous response for this Gandhi NL issue. We are collating all the orders and will start contacting you soon. Thank you for your patience. 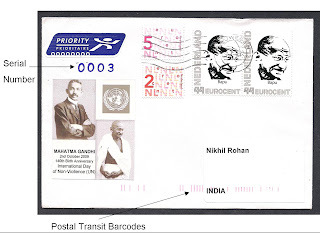 This stamp is a Personalized issue part of the services offered by TNT, the National Post Company of Netherlands, and can thus be used as valid postage (of Euros 0.44) from Netherlands. 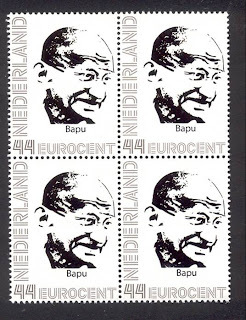 This Gandhi NL stamp has been printed in very limited quantity. It is not a label as issued in certain countries like UK, Thailand,Iran,UAE and Belgium. 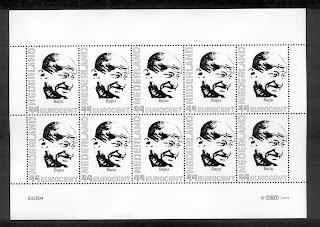 The stamp design has been kept simple in line with the frugality of Mahatma Gandhi's life. 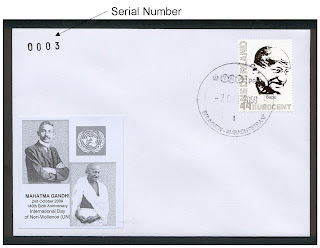 The stamp has an inscription "Bapu" (Father) below the portrait of Gandhi. 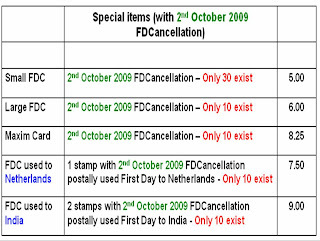 2nd October 2009 First Day Cancellation/Postmark have been prepared for this stamp. All these special items are individually numbered. 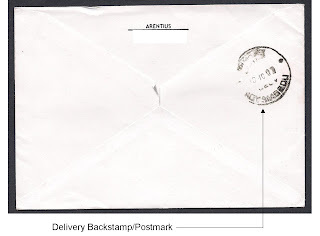 Scans of front and back of the envelope are given below. 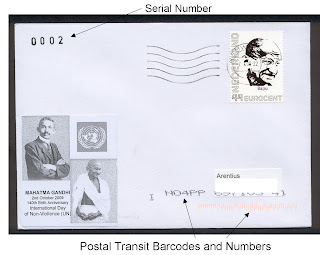 As the Gandhi NL stamp is valid postage from Netherlands, it can be postally used to your address also. 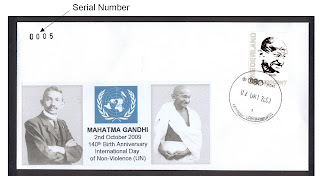 This Gandhi NL stamp can be affixed as regular postage on the outside of the envelope enclosing the items you order. 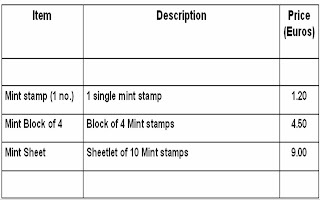 A separate letter affixing the Gandhi NL stamp as postage can also be sent if you so desire. 1) For payments within EUR countries of the EU, payment by through BIC / IBAN transfer is preferred. 2) For other countries payment through Paypal is the preferred option. Please contact for the Paypal id. 3) Alternatively, if you wish to make payment in India and/or receive items from India, please inform so that details can be provided. 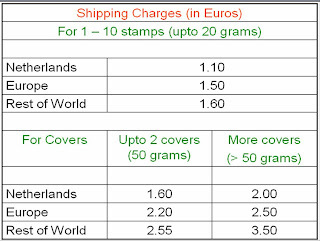 In case payment is made via Bank transfer (from EUR countries of EU), a discount of Euros 0.40 is offered on the Shipping Charges stated above. 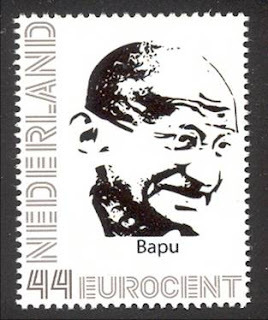 If you wish to have the Gandhi NL stamp postally used to your address, please inform so that postage charges can be appropriately recalculated. I am only a part-time philatelist. Philately is my hobby. So please have patience in awaiting reply to your emails and dispatch of items. Thank you.